Waxiang (simplified Chinese: 瓦乡话; traditional Chinese: 瓦鄉話; pinyin: wǎxiānghuà) is a divergent variety of Chinese, spoken by the Waxiang people, an unrecognized ethnic minority group in the northwestern part of Hunan province, China. Waxiang is a distinct language, very different from its surrounding Southwestern Mandarin, Xiang and Qo Xiong languages. Waxiang may share some lexical innovations with Bai, suggesting a possible Macro-Bai substratum. It has also been suggested that perhaps Waxiang is a mixed language of Xiang and Miao. 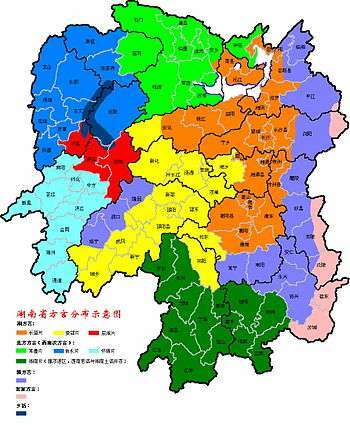 Waxianghua is found in Luxi, Guzhang and Yongshun counties in Xiangxi Tujia and Miao Autonomous Prefecture, Zhangjiajie prefecture-level city (in Dayong 大庸), and Chenxi, Xupu and Yuanling counties in Huaihua prefecture-level city. Neighboring languages include Southwestern Mandarin, Xiang Chinese, Tujia, Qo Xiong, and Hm Nai. 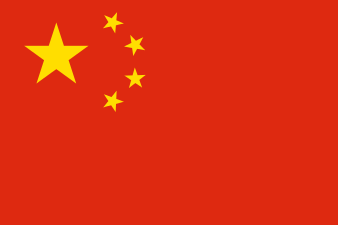 "wa" means speech in Southern Chinese dialects. The word Wa 瓦 is only a phonetic transcription. Wu & Shen (2010) report Waxianghua to be spoken in the following villages. Liubaohua 六保话, a dialect closely related to Waxianghua, is spoken in several villages in southeastern Guazhang County (including in Shaojitian Village 筲箕田村, Shanzao Township 山枣乡) and parts of Luxi County. Liubaohua is spoken in the following locations (Zou 2013). Yantouzhai Township 岩头寨乡: Yinping 银坪村, Zimuping 梓木坪村, Wangouxi 碗沟溪村, etc. Guzhang li6, MC 地 dijH > dì "earth, ground"
Guzhang lu6, MC 大 dajH > dà "big"
Guzhang li2, MC 遲 drij > chí "slow"
Guzhang luʔ8, MC 讀 duwk > dú "read"
Guzhang za2, MC 棃 lij > lí "pear tree, pear"
Guzhang zɛ2, MC 來 loj > lái "come"
Guzhang tsu3, pMin *tšyiB, MC 水 sywijX > shuǐ "water"
Guzhang tɕiəu1, pMin *tšyA, MC 書 syo > shū "writing"
↑ Baxter, William; Sagart, Laurent (2014). Old Chinese: A New Reconstruction. Oxford University Press. p. 34. ISBN 978-0-19-994537-5. ↑ Kurpaska, Maria (2010). Chinese Language(s): A Look Through the Prism of "The Great Dictionary of Modern Chinese Dialects". Walter de Gruyter. p. 73. ISBN 978-3-11-021914-2. ↑ Zou Xiaoling 邹晓玲. 2013. 湘西古丈县“六保话”的系属. ↑ Baxter & Sagart (2014), p. 109. ↑ Baxter & Sagart (2014), p. 110. ↑ Baxter & Sagart (2014), p. 93. Yang Wei [杨蔚]. 1999. A study of Yuanling Xianghua [沅陵乡话研究]. Changsha: Hunan Educational Press [湖南敎育出版社]. Yang Wei [杨蔚]. 2010. Xianghua comparative phonology [湘西乡话语音研究]. Guangzhou: Guangdong Press [广东省出版集团]. Hilary Chappell (2012), "Typology of an isolated Sinitic language: Waxiang, a language of northwestern Hunan, China" (presentation slides), keynote at 45th International Conference on Sino-Tibetan Languages and Linguistics.